The Texas dad police accused of leaving his 3-year-old daughter outside in the middle of the nightas punishment for not drinking her milkwas charged with a first-degree felony on Monday, the day after authorities found a child’s body near the family’s home. 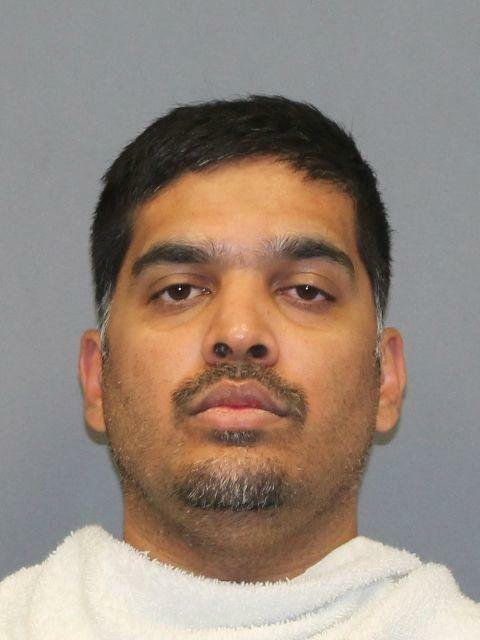 Wesley Mathews, 37,voluntarily met with Richardson police detectives on Monday to discuss the case, but his account of what happened the night he punished his daughter over the milk was “contrary to what we were initially told,” Sgt. Kevin Perlich told CBS11. Police didn’t elaborate. On Sunday morning, police said theyfound the body of a childin a culvert near the Mathews’ home. Perlich told HuffPost the body is “most likely” Sherin’s. The medical examiner will determine identification and a cause of death. Wesley Mathews, 37, is shown in this police booking photo in Richardson, Texas, U.S., provided October 9, 2017. Mathews was charged with abandoning or endangering a child on Oct. 7 after his adopted daughter, Sherin Mathews, who police said haddevelopment issues and limited verbal communication skills, went missing. Matthews’ wife, Sini Mathews, Sherin’s adoptive mother, wascooperating with police to identify the body, her attorney told Dallas Morning News. The mother, who said she was asleep when Sherin went missing, has not been charged with a crime. Sherin wasadopted by the couple from an orphanagein the Indian state of Bihar in June, according to Indian news outlets. Indian officialsexpressed alarm over her disappearance.